West Hampstead – it’s only the damn finest place this side of… well, it’s jolly nice. “Greater Whamp”, as I (and only I) like to call it, stretches from Belsize Road to Hampstead Cemetery and from Kilburn High Road to Finchley Road. It has a population of 33,000 and growing. That population is skewed towards young people (there are twice as many people under 40 as over 40) with a high proportion of young professionals attracted by the good transport links. The sizeable established population is concentrated in the north, around Fortune Green. Locals are wont to moan about chain stores moving in and there has been a recent influx of “multiples”, most notably the three big coffee chains, and micro-formats of Sainburys’ and Tesco. A Little Waitrose is imminent. But look at the high street – West End Lane – more closely and independent businesses thrive, albeit cafés, restaurants, estate agents, and haidressers rather than very many useful shops. We are blessed with one of the great independent bookshops, West End Lane Books, and long may it thrive. There’s also a weekly farmers’ market on Saturdays, which has proved very popular. West Hampstead is definitely lively in the evenings, but it’s also safe and it’s not an all-night party district. The bars kick out at midnight or 1am later in the week and there are a couple of nightclubs, but most locals are tucked up in bed well before then. Do check out all the latest news on shops and restaurants. West Hampstead’s excellent transport links, unrivalled anywhere in north-west London (and arguably anywhere in the capital), make it an attractive place from which to commute: Canary Wharf is 25 minutes away on the Jubilee Line, the City is easily accessible via Thameslink and the Metropolitan Line, the Overground links us to Richmond to the west and Stratford to the east, and Luton and Gatwick airports are both on direct train routes. Throw in a bus that runs through the heart of London, another that connects us to major hospitals and a third that takes us to Golders Green or Kensington and Chelsea and West Hampstead really is a hub. We regularly cover transport and travel news. Follow the #whamptravel tag on Twitter for real-time travel updates. With a pleasant high street and excellent transport links, it’s no wonder then that property prices have risen and risen. All that railway land means West Hampstead has also been earmarked as an area for intensification by City Hall. What does this mean? At least 800 new homes (in reality, 1,000) over the next few years. The largest single scheme – West Hampstead Square – is being built, a few other smaller developments are also in advanced stages and 156 West End Lane (the “Travis Perkins” site) will contribute a sizeable share of these flats once it is redeveloped. The car park that links Homebase and the O2 centre is the final piece of the jigsaw and will be a major development although it is very early days for this. The West Hampstead Neighbourhood Development Forum was set up to give locals some say in how development would occur. It has spent a couple of years finalising its Neighbourhood Development Plan, which will be voted on in a local referendum in the summer of 2015. We offer extensive coverage of all the latest planning and development news and have regular updates on property sales and rental markets. The growth in the area should be good for local businesses, but it is also likely to mean more competition. The West Hampstead Business Association is a collective group that promotes and improves both the physical and business landscape of the area. Its ultimate goal is to encourage more people to spend more money here, in order to retain and develop West Hampstead’s economy. For more information, including how to join, go to the WHBA website. West Hampstead Life is a member of the WHBA, and of course also covers local business news. West Hampstead and Fortune Green was a Lib Dem stronghold up until the 2014 local elections when all but one of the Lib Dem’s six councillors were voted out and replaced by Labour councillors. Kilburn is a Labour ward and Swiss Cottage is Conservative. In the 2015 general election, Labour’s Tulip Siddiq took over from retiring Glenda Jackson as MP for Hampstead & Kilburn, extending Labour’s majority from 42 to 1,138. The seat had been the tightest three-way marginal in the country but the Lib Dem vote collapsed in H&K as elsewhere. 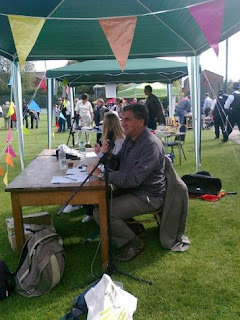 We regularly cover politics news, and held hustings for both the local and general elections. West Hampstead has three primary schools: Beckford, Emmanuel and Kingsgate. There is only one state secondary school; Hampstead School sits right on the far northwest edge of the area virtually in Cricklewood. Education became a hot topic in 2013 with parents from Emmanuel School launching a campaign for a new free school. The application was rejected by the Department for Education. In 2015, Camden council agreed to the expansion of Kingsgate Primary school, opening a new site in Liddell Road on the site of what is today an industrial estate, paid for by building flats on the same site. No suprise then, that education news stories are among some of the most read on the site. People think it’s hilarious to say it’s really just East Kilburn. How we chuckle. Then we send them packing with a flea in their ear and a copy of one of the local history books. It’s true that the borders between Kilburn and West Hampstead have blurred over the years, but they developed as separate places – Kilburn is much older, as most people know the Kilburn High Road is the old Watling Street – a Roman road no less. West Hampstead was originally “West End” and grew up around West End Green. It was only with the arrival of the Metropolitan Line in the early part of the 20th century that it was renamed West Hampstead in order to avoid confusion with “the” West End. Over the following years, the various estates that made up what is West Hampstead today were built on and the area was born. For a more detailed history, read this, and for regular articles about local history, head here. It’s well known that West Hampstead has its fair share of celebrity residents – Emma Thompson perhaps being the most famous since Stephen Fry moved away a few years ago. The area has always attracted creative types – actors, writers, musicians – rather than the footballers. Most locals don’t bat an eyelid when then bump into Imelda Staunton in the farmers’ market, see Robert Webb in The Alice House, or hold the door open for Bill Nighy at the bookshop. It’s all part and parcel of what makes West Hampstead such a great place to live.